Let’s dive a bit deeper into the topic of “everything else” as it relates to information stored across the enterprise. You have information stored on systems (i.e. shared drives, accounting, document management, litigation support, etc.) besides SharePoint that need to be managed. In addition, you still have paper that seems to never go away. In fact according to the AIIM 2013 industry watch survey focusing on information governance, the volume of paper is increasing in 42% of organizations. So, yes, organizations still need to figure out how to consistently apply governance policies between systems and formats as well as manage, track and govern that content. FileTrail provides a truly unified information governance solution that helps organization’s BRIDGE THE GAP between SharePoint and Everything Else. 1. Consistent application and integrated view of electronic and paper documents in SharePoint. 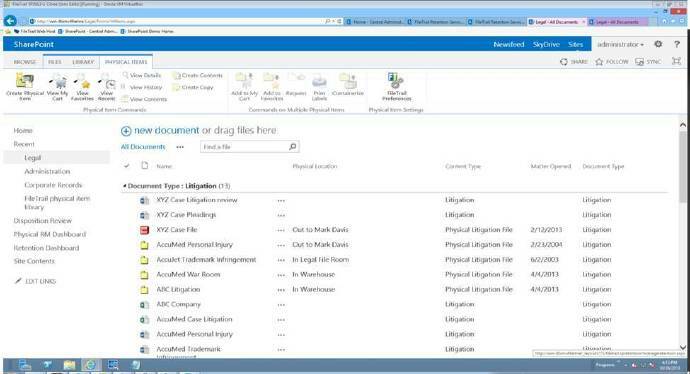 SharePoint provides access to electronic documents. By adding FileTrail for SharePoint, users gain an integrated view of both physical and electronic documents. FileTrail’s Content Type architecture leverages your previous and future configuration in SharePoint. It allows all of the SharePoint platform tools to be used on physical documents just as they are for any other document in SharePoint. As a result, physical and electronic documents appear together in Document Libraries, and share the same metadata, taxonomy, workflows and retention. In addition, customization of physical document functionality is done primarily using the built-in tools in SharePoint and SharePoint Designer and not in 3rd party tools. Locate misplaced items quickly like a metal detector with an 8-foot read distance using the portable RFID Detector. Cut the time to complete physical inventories by 80% or more using the portable Audit tools. 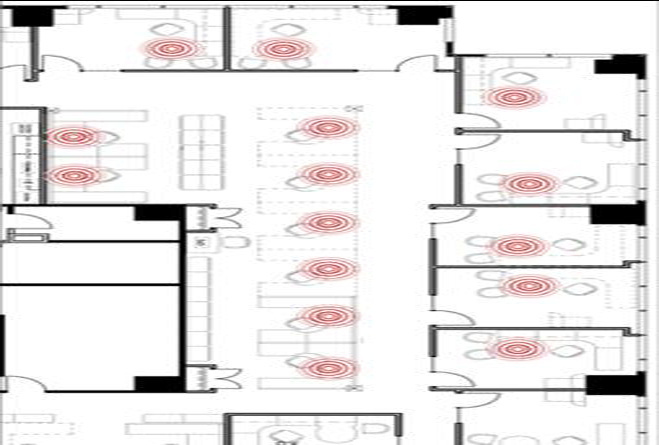 Automate tracking with RFID sensors in the ceiling, under desks and in doorways, without the need for staff compliance. Prevent unauthorized removal of physical documents, assets, equipment, and more, using a combination of lights, alarm, and email alerts with RFID sensors at exits. 3. Automatic declaration of content (electronic and paper) through applying information management policies in SharePoint. SharePoint provides tools to allow centralized management of content across all Site Collections in your entire farm. FileTrail for SharePoint can leverage SharePoint’s Managed Metadata Service and Content Type Syndication. This allows you to apply unified physical and electronic document taxonomy and policy implementation for the enterprise from a single interface. Our unique architecture allows you to apply your own information governance policies and automate the entire information lifecycle process, taking the responsibility from your users to insure compliance. This solution also has built-in legal hold, event based retention functionality that allows organizations to dispose of information once it is no longer needed. feel free to ping me anytime at jmerrifield@filetrail.com or (646) 584-7687.